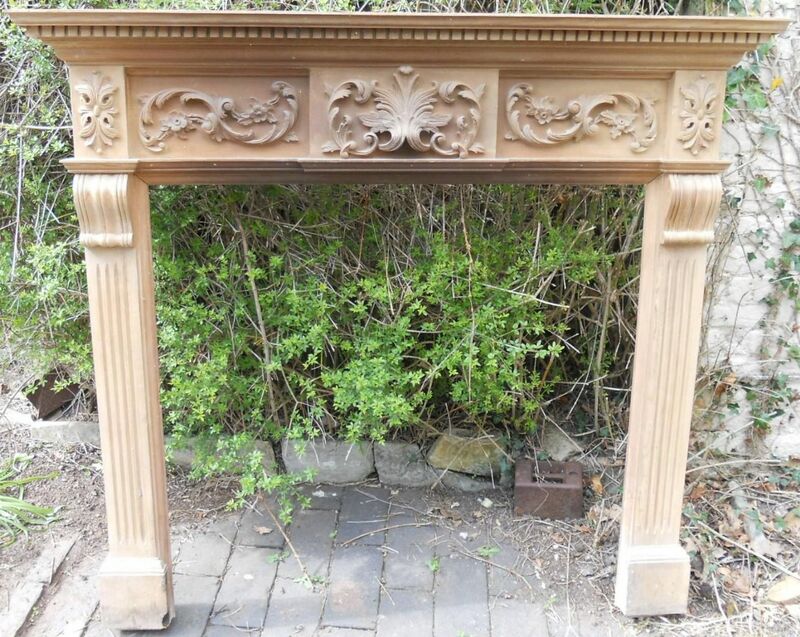 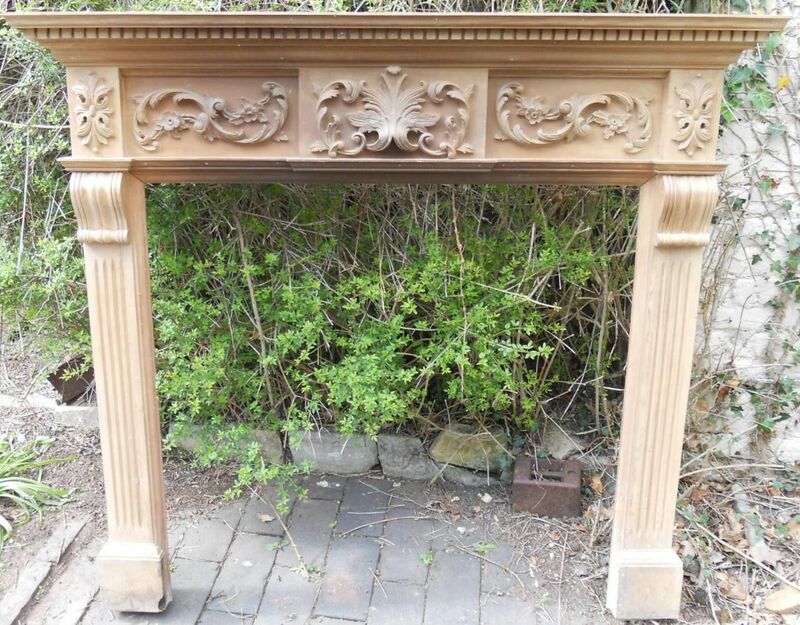 Georgian style carved pine fire surround with upper mantel shelf. 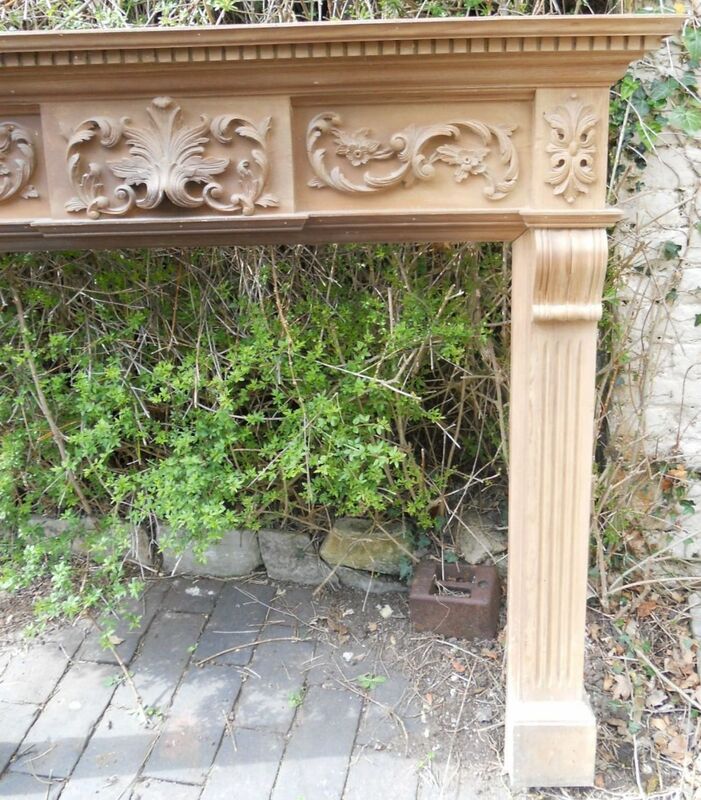 Lower heavily carved frieze and fluted column uprights. 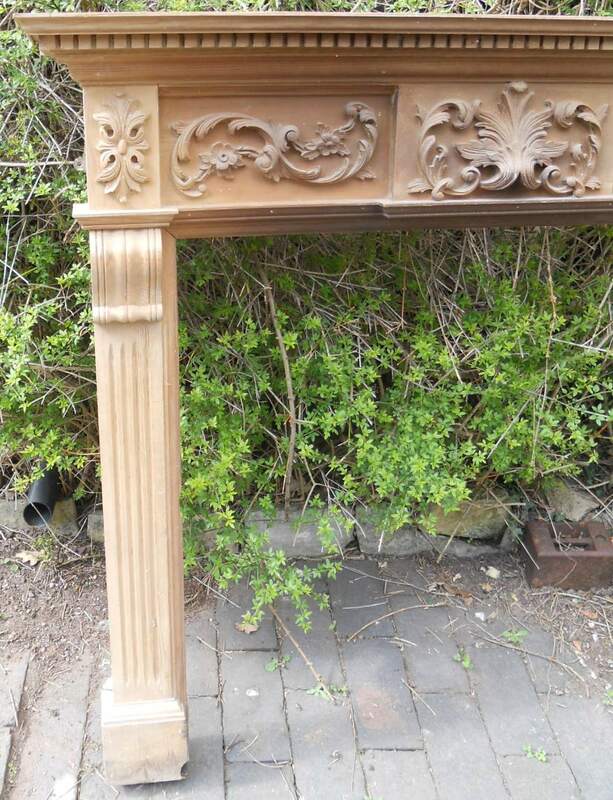 Height 38" x Width 39"